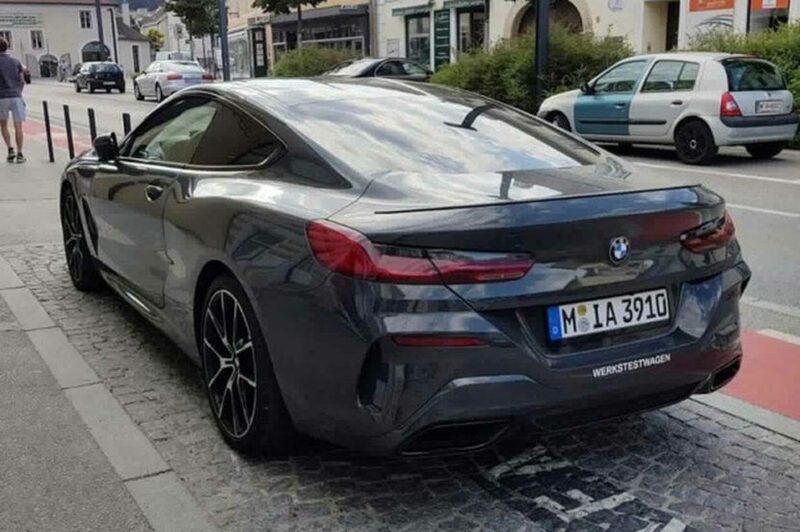 Just days after the official BMW 8 Series world premiere at Le Mans, the new luxury sportsman is now fully unveiled on the road as well. 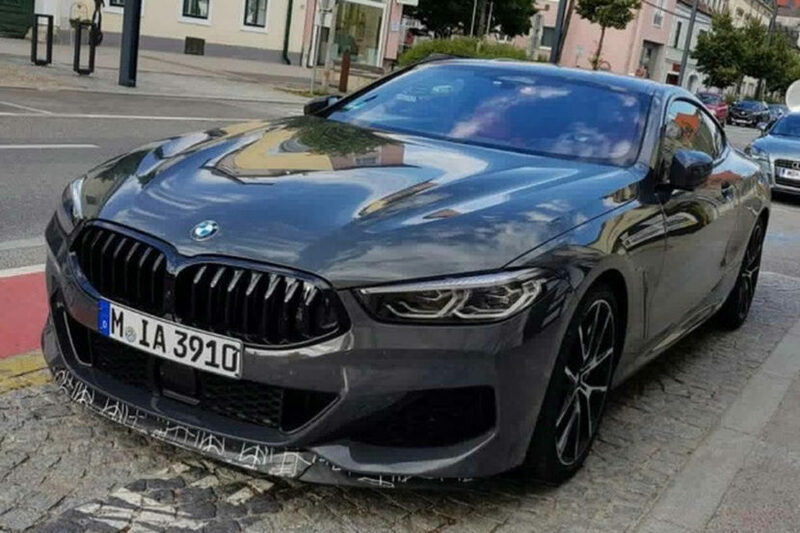 Bimmertoday’s reader Omar has caught a factory test car which is clad only with a touch of camouflage foil in the area of ​​the front splitter. Not only the effect of the large coupé in a natural environment is exciting, but also the painting: for the first time we see the BMW 8 Series Coupe G15 with the dark grey individual paint Dravit Grey Metallic. The exclusive color is combined with some black elements, because the vehicle shown wears the BMW Individual High-Gloss Shadow Line with the kidney grille, Air Breather and tailpipe trims painted in high-gloss black. Tinted windows from the B-pillar complete the dark and sporty appearance in style. At Le Mans, the new BMW 8 Series was on display in the launch color Barcelona Blue as well as in Sunset Orange with a carbon package. The price list also includes Alpine White, Mineral White, Carbon Black, Sapphire Black and Sonic Speed ​​Blue. In addition, the 8 Series can be ordered with the help of BMW Individual in just about any paint job. The BMW 8 Series will celebrate its official market launch in November 2018, and a little later, the range of engines, which initially only consist of 840d xDrive and M850i ​​xDrive, will be supplemented with further options. The BMW 8 Series will also be available with the classic rear-wheel drive.